Watch an excerpt of Anna Netrebko and Dmitri Hvorostovsky performing Tchaikovsky's Eugene Onegin "O! 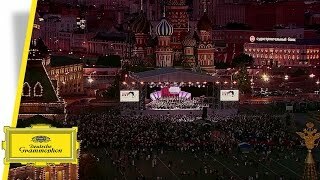 Kak mne tiazhelo" live at the Red Square concert together with the State Academic Symphony Orchestra "Evgeny Svetlanov" conducted by Constantine Orbelian. Watch Anna Netrebko performing Verdi's Il Trovatore "Tracea la notte placida" live at the Red Square.